A humidifier can play a vital role in the health and comfort of your Indianapolis home. But while you can pretty much always depend on your modern humidifier to meet your needs, nothing was built to last forever, and eventually a time will come when you need to seek replacement. Looking for a high-quality humidifier replacement service for your home or business? Contact the certified professionals at Service Plus Heating, Cooling & Plumbing—317-434-2627! Ready to get the best replacement services in Indianapolis? Contact the experts at Service Plus today! Losing your humidifier can leave you feeling dry and uncomfortable very quickly, so you need a replacement service that is fully focused and dedicated to providing you fast, effective solutions that never skimp on quality. When you work with the Service Plus team, we will help you find the perfect humidifier replacement to suit your home, and install your new system flawlessly for optimal comfort and maximum efficiency. Your home is too dry. A fairly obvious answer, but it bears mentioning. If you home begins to feel dry and uncomfortable, you should always check your home humidifier first to ensure it is in proper order. If something seems awry, or the humidifier is not functioning, call on the experts! You encounter static shock. Static shock is an annoying issue that plagues every homeowner every now and then; particularly if you have carpeted flooring. But static shock rarely if ever happens when humidity levels are high enough, so if you’re getting zapped a lot, you’ve got a clear indication that your humidifier is operating poorly. You hear strange, loud noises. If the inner workings of your humidifier are loose or have become jeopardized, you may encounter loud, repetitive noises that may resemble squeals or ticking. These are signs that your humidifier has been damaged, most often through general wear, and it may be time to replace. 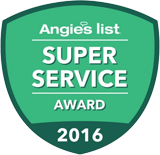 At Service Plus, our experts carry years of experience in handling home humidifiers and air humidifier systems. We have the skill, training, and tools needed to ensure your humidifier replacement is absolutely perfect, and easily meets your comfort needs! Contact us online today to set a date for your replacement services, or call us at 317-434-2627!